Just because you live in a famous historical region doesn&apos;t mean your focus should be on the past. 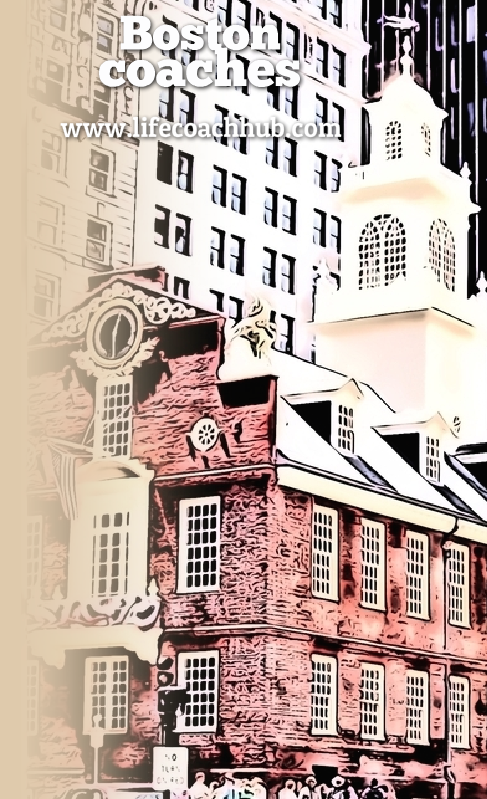 World-class cities like Boston support savvy forward-thinking cultures. If you want to be empowered by new ideas, then a life coach can act as a transformative guide. Many talented life coaches call Boston home. You&apos;ll be able to find the one that is the right fit you. Life coaches can help you reach personal, business, creative and career goals. A coach can also help you cope with changes. The change can be of your own making or caused by something outside your control. Either way, a life coach helps you think positively and take beneficial actions. The many institutions of higher learning in the Boston area represent a tradition of improvement. You&apos;re part of a culture that honors discovery and innovation. Life coaching teaches you how to learn about yourself. And then you apply that knowledge to achieve personal growth. With a life coach you get to talk about your problems and your dreams. Honest feedback from a life coach can reveal issues that you might not even be aware of. This helps you get past denial and focus on solutions. Your dreams and inspirations will become central to your life. If you keep making excuses instead of progress, then a life coach helps you figure out why. Life coaching builds skills of personal empowerment. You&apos;ll achieve clarity of purpose and gain motivation. The fulfillment that comes from making your happiness a priority is priceless. I work with both men and women to set and achieve your personal, relationship, and career goals. Get matched to an expert coach and book a free consultation. Don&apos;t let your life turn into Boston&apos;s infamous "Big Dig." If you feel like you&apos;re digging a big hole and ready to collapse, it&apos;s time to reassess the path you&apos;re on. A life coach helps you start over with a fresh perspective. You don&apos;t have to keep putting off your goals. A life coach can help you pursue new priorities that are meaningful to you. Achieve results faster. A life coach helps you meet goals by supporting you with accountability and encouragement. You&apos;ll have someone in your corner who pushes you to stay focused. You can free yourself from negative thinking. Habits like complaining and telling yourself you can&apos;t change reduce your chances of succeeding at anything. With life coaching, you can develop a powerful new outlook. Then self-defeating beliefs no longer weigh down your potential. A life coach will teach you how to go the distance in any endeavor you choose. You can adopt the same determination as the runners in the famous Boston Marathon. They take on a challenge to run 26 miles even though most people would never attempt it. Like them, you can achieve ambitious goals too. Life coaching shows you how to overcome challenges mile after mile.